Dry eye is a condition in which a person doesn’t have enough quality tears to lubricate and nourish the eye. Tears are necessary for maintaining the health of the front surface of the eye and for providing clear vision. Dry eye is a common and often chronic problem, particularly in older adults. 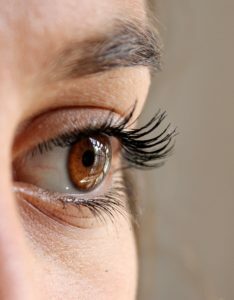 With each blink of the eyelids, tears spread across the front surface of the eye, known as the cornea. Tears provide lubrication, reduce the risk of eye infection, wash away foreign matter in the eye and keep the surface of the eyes smooth and clear. Excess tears in the eyes flow into small drainage ducts in the inner corners of the eyelids which drain into the back of the nose. Dry eyes can occur when tear production and drainage is not in balance. People with dry eyes may experience irritated, gritty, scratchy or burning eyes; a feeling of something in their eyes; excess watering; and blurred vision. Advanced dry eyes may damage the front surface of the eye and impair vision. Treatments for dry eyes aim to restore or maintain the normal amount of tears in the eye to minimize dryness and related discomfort and to maintain eye health. Although dry eyes can be a chronic condition, Dr. Mosaddegh in San Francisco can recommend treatment to keep your eyes healthy and comfortable and to prevent your vision from being affected. The primary approaches used to manage and treat dry eyes include adding tears using over-the-counter artificial tear solutions, conserving tears and increasing tear production. Adding tears. Mild cases of dry eyes can often be managed using over-the-counter artificial tear solutions. These can be used as often as needed to supplement natural tear production. Preservative-free artificial tear solutions are recommended because they contain fewer additives which can further irritate the eyes. Conserving tears. Keeping natural tears in the eyes longer can reduce the symptoms of dry eyes. This can be done by blocking the tear ducts through which the tears normally drain. The tear ducts can be blocked with tiny silicone gel-like plugs that can be removed, if needed. Or a surgical procedure can permanently close the tear ducts. In either case, the goal is to keep the available tears in the eye longer to reduce problems related to dry eyes. Increasing tear production. Your doctor may prescribe eye drops that increase tear production. Taking an omega-3 fatty acid nutritional supplement may also help. People with dry eyes either do not produce enough tears or their tears are of a poor quality. Dry eyes can develop for many reasons including age, medications, medical and environmental conditions and other factors such as extended contact lens use. Dry eyes can be diagnosed through a comprehensive eye examination. Contact Mosaddegh Eye Institute at 415-392-4437 or sfeyedoctors.com to schedule your appointment today!